Customer Data Platforms are becoming more ubiquitous within the enterprise, but conflicting definitions and general market confusion make it difficult to distinguish a true CDP from imposters. Here are five questions to help you cut through the noise. The idea of a Customer Data Platform (CDP) has been around since 2013, when David Raab originally coined the term. Fast forward five years to today and industry pundits are predicting that 2018 will be the year of the CDP RFP. So, how is it possible that we still don’t have a standard definition for what a CDP is and what it isn’t? The evolution of the term and its ongoing ambiguity created the perfect storm of confusion (beyond the acronym alphabet soup). Early definitions resembled that of a traditional Data Management Platform (DMP). The only true difference was that a CDP had the technical chops to appropriately handle Personally Identifiable Information (PII). As a result, many DMPs pivoted to a CDP-like model to stay ahead of the trend. Couple that with a number of data vendors entering the market with Frankensteined solutions and you can start to understand what’s made it so hard to discern the difference between a native CDP and a copycat. 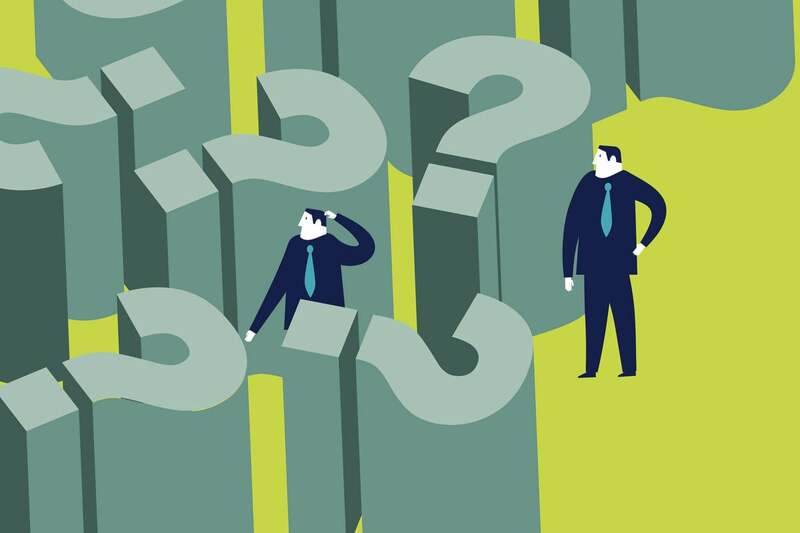 Here are five questions you need to ask to cut through the confusion and ensure that the CDP you’re considering is really a CDP. 1. Can the technology ingest both streaming and batch data regardless of speed, type, volume, format and variety? It must capture all of this all the time…no excuses. 2. Can it manage PII in real-time through the construction and management of a Customer Golden Record? The contact graph. This graph maintains every touchpoint or proxy identity that a customer has presented to a brand as himself/herself. It links and keys the information in a persistent and evolutionary way. A graph can include a customer’s phone number, email address, cookies, social handles, machine ID’s (for IoT) and home address. What exactly is needed in a contact graph will vary from brand to brand. The transactional record. This is all the relevant behavioral or enhancement data, predictive models, RFM (recency, frequency and monetary) analyses and lifetime value scores associated with a customer. In other words, it’s anything that describes a customer in a useful manner that will help the brand. 3. Can the Golden Record be updated in minutes, seconds or on demand? All data must be available immediately to all systems, both internal and external, via web service and APIs. 4. Is it deployable on any type of data technology or engine, SQL, No-SQL or hybrid environments? This capability is optional but preferable. 5. Does it have complete Agile Master Data Management (MDM) capabilities so the user can truly curate the data as needed for the business? This is also an optional capability, but it’s important to ask. Put simply, a CDP is a new data machine and its requirements are largely defined by digital engagements, typically executed in real time. What do I mean by digital engagement? I adhere to Rusty Warner’s (Principal Analyst at Forrester) definition which says that a digital engagement is “The ability to identify and capture context.” If enterprises want to turn these digital engagements into something intelligent, they must employ analytics. This means their data machine must contain everything that is known about a customer—every previous engagement, every immediate update, and all streaming data. The machine must keep up with the real-time cadence of a customer and have sufficient detail for the use of predictive analytics. When you consider what I’ve described above, one thing is certain, there is nothing traditional that fits the bill perfectly except a CDP. A CDP represents the ‘New Data Order’ that will serve as the foundation for enterprise’s digital transformation by creating transformative digital experiences that are guided by real-time and technology-mediated interactions. If you answered ‘No’ to any of the questions posed above, it’s not a true CDP. Plain and simple. George Corugedo is Chief Technology Officer and Co-Founder of RedPoint Global. The former math professor and seasoned technology executive has more than two decades of business and technical experience. George is responsible for directing the development of the RedPoint Customer Engagement Hub, a leading enterprise customer engagement solution.